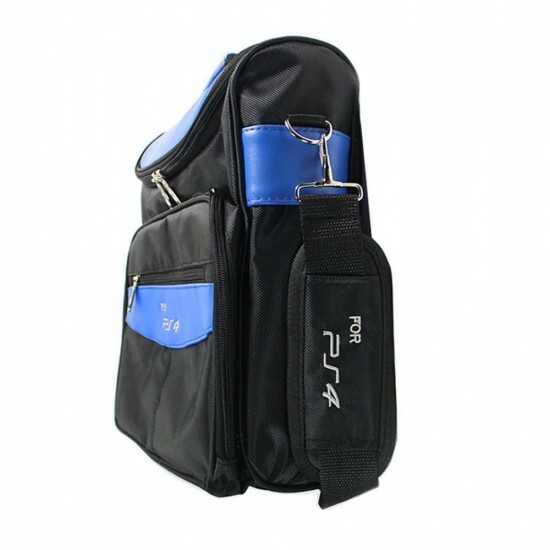 Main pocket holds and protects PlayStation 4 Console. 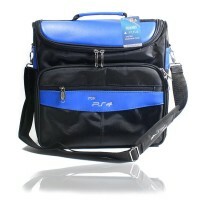 Front pocket holds 2 DUALSHOCK 4 Wireless Controllers, Accessories, Games and Cables. 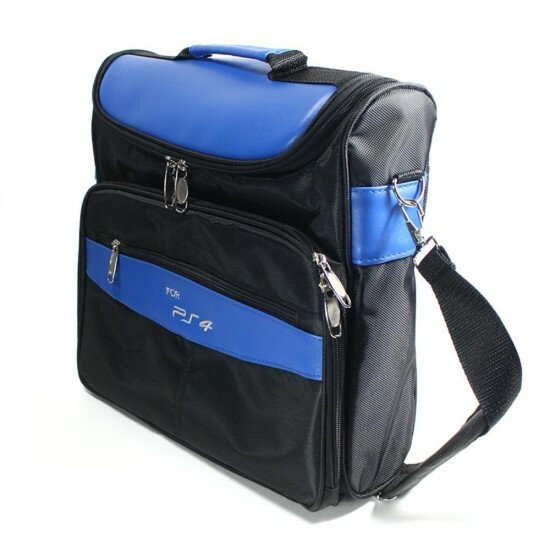 Enough Space for Your Travel, This PlayStation 4 PS4 Travel Carrying Bag Case is easy to contain your PS4 console and accessories. 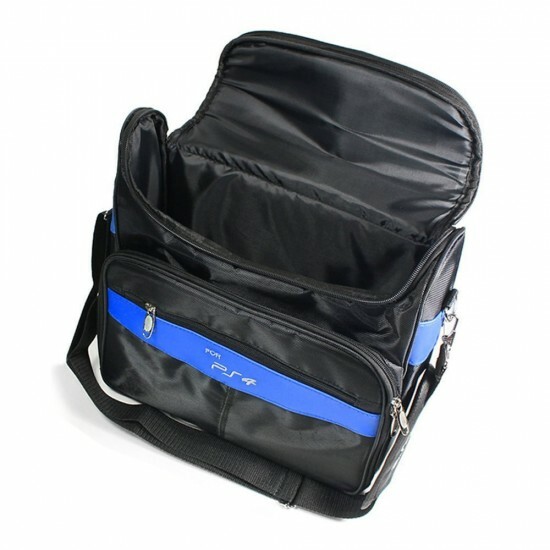 Fully padded case for maximum protection. 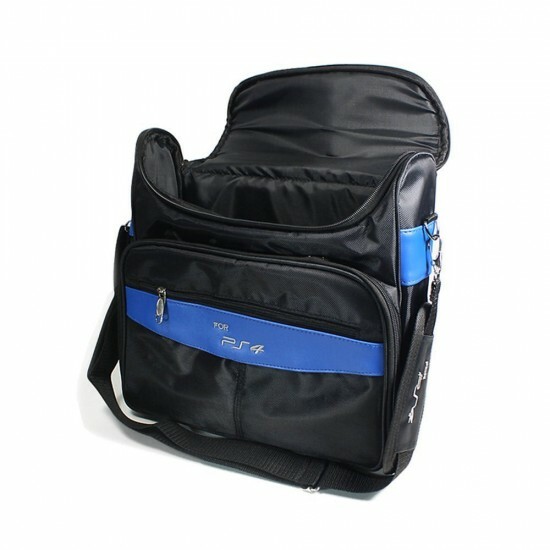 Adjustable shoulder strap and convenient carrying handle. 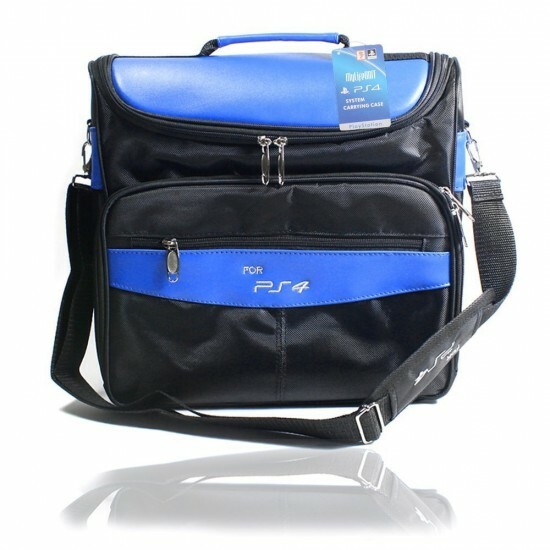 PS4 Travel Case for PlayStation 4 console and accessories, made of 85% black 1680 Denier Nylon and 15% Leather. 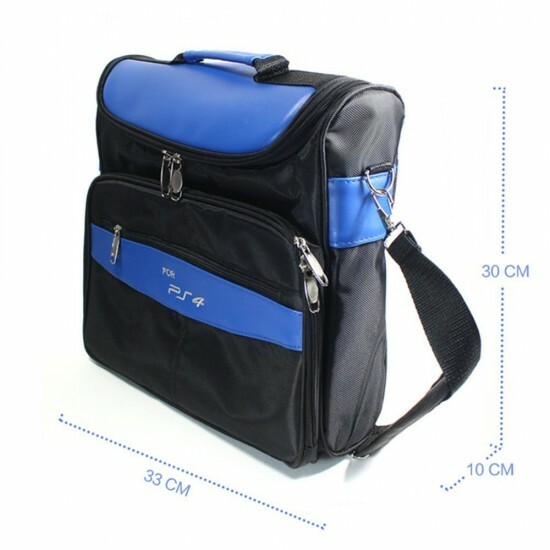 Enjoy your Travel with MyLifeUNIT PS4 Travel Carrying Bag Case.